Merc 'Kara' Mod polo dress made in classic black pique fabric and featuring Retro twin tipping detail to the collar and cuffs. 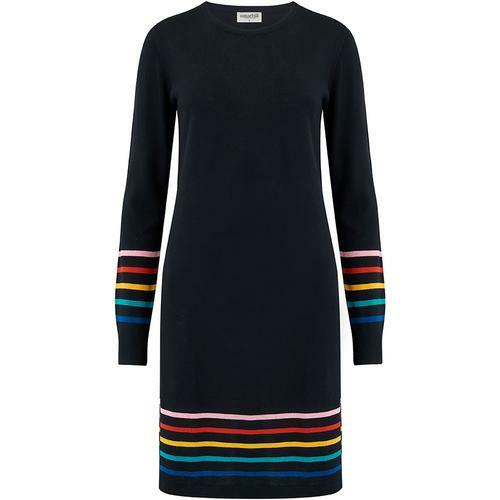 A fab Retro summer style, the 'Kara' polo dress from Merc benefits from a flattering A-line shape and neat button placket detail to the front. The iconic Merc crown embroidery features on the left side of the chest and adds the finishing touch to this casual Mod polo dress. 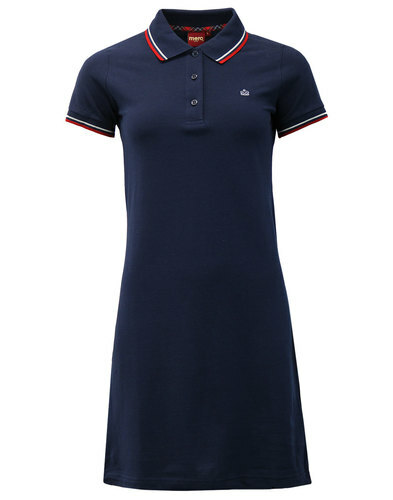 Perfect for a stylish, stand out and easy Mod look this summer - The 'Kara' pique polo dress from Merc. 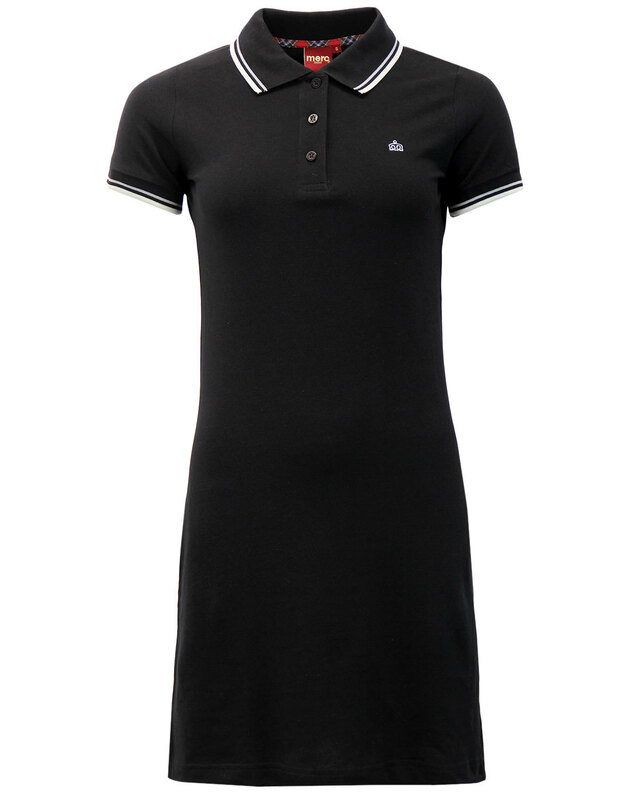 - Merc 'Kara' mod pique polo dress in black. - Retro tipping to collar and cuffs in silver and white. 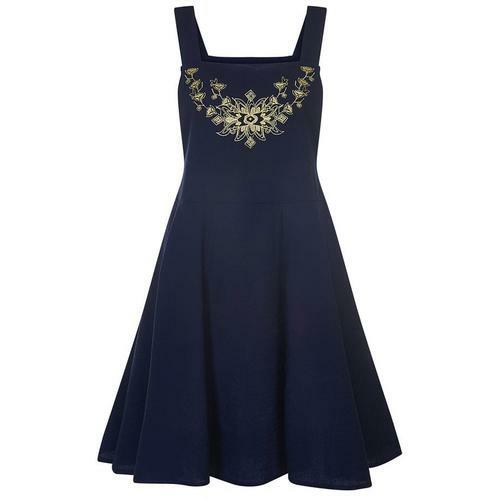 - SKU: 2911101 Kara Polo Dress.